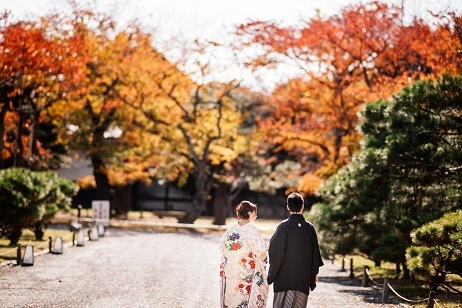 Autumn leaves in Nijo Castle were all for the three. 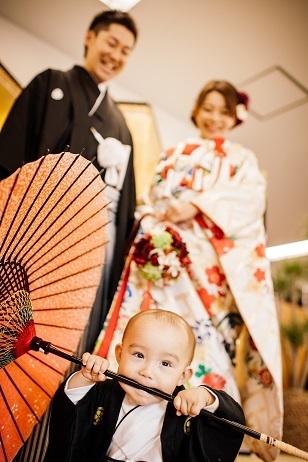 “Ryo-kun”, a little prince of YAMABE family looks very happy in a traditional costumes; “Montsuki and Hakama”. 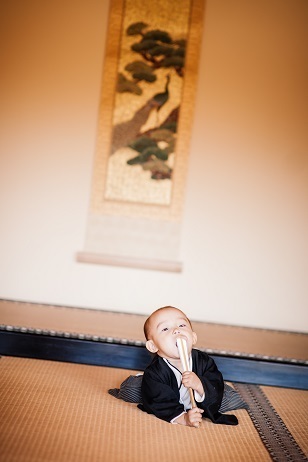 I attended an on-location photography at Nijo Castle the other day. After sending some photo data to the clients so that they can use them for the new year’s greeting cards, they wrote me back a very kind message. 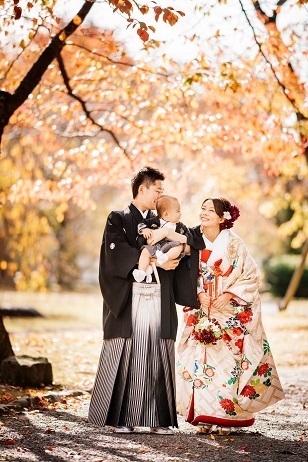 I’m sure these pictures can make a great Nenga-jo (New year greeting cards) which makes the ones who receive them smile. It was my great pleasure helping the family to create one page of their family album.